It’s almost summer y’all. At least, here in the South the pollen and heat are pretty much unavoidable :(. We decided to give you a week of Summer favorites – complete with the best week-long summer salad, Shrimp Tacos, Easy Hamburgers and Chicken Kabobs! I mean, really. Who doesn’t love all these favorites? This Parmesan Chicken is one of my favorite go-to meals. If you cut up the pieces of chicken before coating and cooking them, they taste like chicken nuggets! Definitely a great meal for company. Enjoy! Here’s what included this week! …get these emailed to you every week FOR FREE! Every Thursday I will email your meal plan to you – so you don’t need to remember anything! Each week comes complete with a printable grocery list and set of recipes! Yay for making life more simple. Each week includes a maximum of 20 ingredients. That’s right. You receive a grocery list of no more than 20 ingredients. This provides you with a budget-friendly grocery list, no matter where you shop. The plan only includes 5 dinner recipes. This allows you the flexibility to mix and match them according to your schedule. They are not assigned to days of the week. Each recipe is categorized by one of 4 cook times. It will either be a 10 minute recipe, 30 minute recipe, an hour recipe, or slow cooker recipe. You choose according to how much time you have. 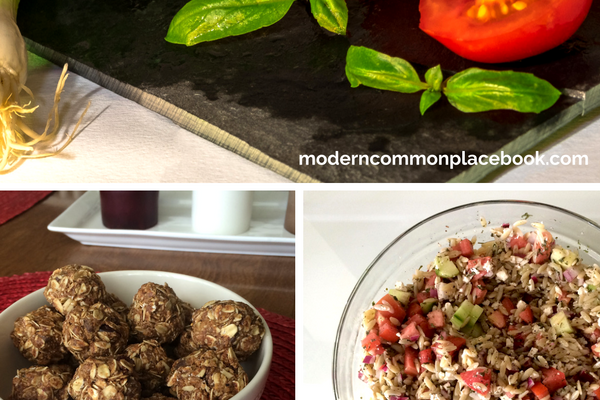 Each recipe includes 3 complete food groups: protein, grain and vegetable. Healthy – without counting calories. Each recipe is for 2 servings – aimed at young couples who need a fast dinner option. Families can multiply the ingredients. Each week will give you the instructions for 1 Prep Day. By prepping a few ingredients the weekend before, your cook time each day will be drastically shortened. Many recipes include substitutions for the kinds of meat used (and many include the option to be meatless). Many recipes will show the optional ingredients. You can adjust according to your taste. Each week, menu plans will be posted on Thursday, giving you Friday and the weekend for shopping + your Prep Day. Each week will be self-contained with full recipes included. You just need to print one page, and use it all week. Each week will include multiple time-saving tips – to help you in the long-run! 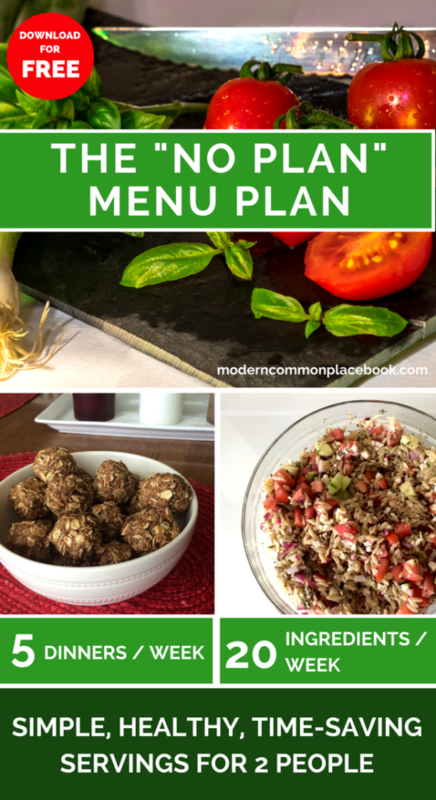 See each free meal plan here!